Jackie Robbins is a custom leather maker since 1975. 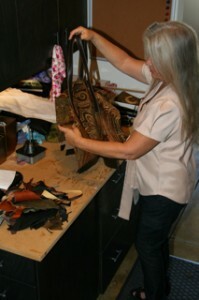 At her boutique in Malibu CA, you can get custom leather work of any kind. Custom leather is her speciality, she has done custom leather for nearly 40 years and she is an expert.